A beach shelter is not suitable for everyone because many beach visitors want to have a windbreak for the beach, which will still allow them to get an overall-body tan or are just generally not as sensitive to the sun. Others already have an umbrella and a beach chair, but want to protect themselves against strong wind at the beach. To close the gap, the Outdoorer team has developed a practical windbreak for the beach and baptized him Aeolus, after the Roman god of the wind. 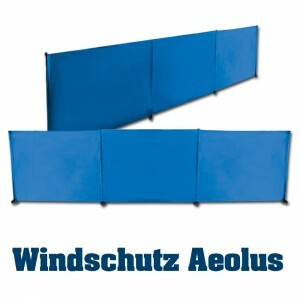 With your Aeolus beach windbreak you now have an influence on the wind, even if only on your station at the beach and for a length of 3 meters, but this is certainly more than adequate. But Outdoorer wouldn’t be Outdoorer if it just copied existing products which are already on the market. No, Aeolus is a pure wind protector for the beach and not this huge ugly edifice, as it is often used by campers! 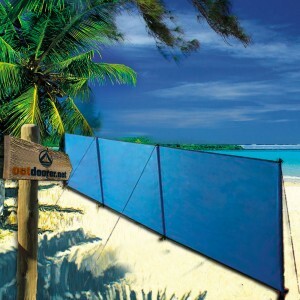 The beach windbreak is only 130 cm high, which is wonderful for sunbathing on a beach mat or a deck chair. At approx. 1.89 kg, the Aeolus is very light and has extremely compact dimensions of approx. 41 x 10 x 13 cm which makes it possible to take the beach windbreak anywhere, even on long trips. It is also very convenient that it comes with 14 sand pegs for sandy surfaces and 14 standard pegs for use on soil and the like. You choose the right pegs to anchor the Aeolus securely according to the type of base. The Aeolus is very easy to set up by means of 4 steel poles, 6 guy lines and 14 pegs (sand/standard). Where to purchase our beach windbreak? 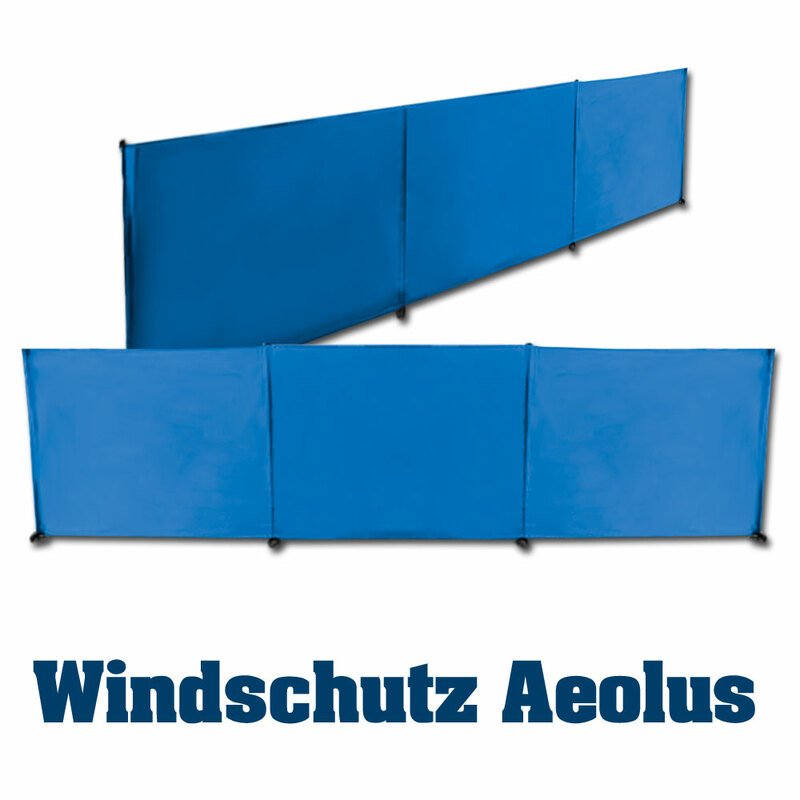 You can order the Aeolus beach windbreak via Amazon.